Erie's Real Fake Doors will release their first music video for their recent single "Falling," on March 7. 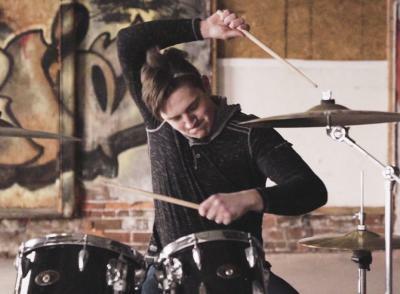 The video, which was filmed in the up-and-coming pop-punk band's home city, was directed by Alex Zarek. The Chicago-based photographer and cinematographer has worked with well-known bands in the genre before. His clientele list includes Chicago's Belmont, Knuckle Puck and more. "Falling" is shot in Zarek's signature style using soft light and unique moving shots. Real Fake Doors has played with successful bands in the area already — including Mallory Run and Lyle Sallad of The Standby — and they have helped sell out two shows at PACA in the last six months. The band's current lineup has been together for nearly a year, forming in April of 2018. Real Fake doors have been influenced by other prominent groups in the genre — Fall Out Boy, Green Day, Foo Fighters, My Chemical Romance — they said. "Working with Alex was an amazing experience for us. His skill and expertise in cinematography allowed us to create a music video that captured the feeling and emotion of our single "Falling," and gives people another way to experience our music," Real Fake Doors stated, prior to the video's release. "We believe that the level of professionalism put into this video will help open doors for us, and will help us grow as a whole." The video release comes three weeks prior to the band's next show, is slated for March 30 with Detroit's Boys of Fall, and Erie's First to Eleven, and Lights + Letters at The Ballet Haus on Holland. The venue, opened by Aorta Music & Management Erie, will have its first show on March 22. In regards to the upcoming EP? 11th and State will feature five songs with topics "that range from pop-punk anthems about relationships and love to heavier sounds that touch on addiction, depression, and broken homes," stated the band. "11th and State is a first look at who we are as a band, and offers an outlook of what's yet to come."